A large attached-growth treatment system. Creating a sustainable design for an aerobic treatment unit ensures a system that the property owner can rely on. Many designs for residential systems will be cookie cutter, but there are commercial projects and larger systems that will be more challenging to design. There are different entities that certify ATU systems for residential use. In the United States, typically the American National Standards Institute and National Sanitation Foundation (ANSI/NSF) standards are used for certification. Systems are certified to remove BOD, TSS and/or total nitrogen. These systems have been certified to achieve treatment levels, for residential strength wastewater, at flows ranging from 400 gpd to 1,500 gpd. The units are typically used based on the prescriptive flow derived from regulations. Today, it is not all that unusual to find homes where multiple generations are living in the same house. Grandma and grandpa are moving in with their children to help defray costs or because health issues arise that require them to have aid and supervision. Day care environments are another example of increased flow. No one expects a designer to know the future, but in the case of repairs, these situations are easier to identify. Sometimes low loading or occupancy brings its own challenges. For example, in bedroom communities with large houses, the people who live there may only spend about three to four hours a day at home, or there may be only three people in a five-bedroom home. This often will mean the ATU required for the house is too large and will cause issues with treatment. What about systems that need denitrification? Where will the carbon source or electron donor come from if no one is home? Remember, the energy source for nitrification is alkalinity or the hardness in the water. Even everyday things in the influent can disrupt the microbes. Quaternary ammonia is a sanitizer used in a lot of cleaning chemicals, particularly in many bathroom cleaners and liquid fabric softeners. A look under the sink is a good place to start if treatment is suffering but mechanically the system is working. Look for the active ingredients on labels, but it may be more difficult to find in home-use products. Cold temperatures can also cause a loss of treatment. This is a problem especially with nitrification. Hot temperatures in desert areas like New Mexico and Arizona can influence sludge settling and proper microbial growth as well. Burial depth and blower placement in these conditions are important design elements and placing aeration blowers inside in colder climates or in the shade for warm environments is also a good strategy. There are ATU systems that are used to treat larger flows or projects that have differing influent constituents than those set forth in the ANSI/NSF standards. These systems can be designed to achieve very high levels of BOD/TSS/TN or ammonia removal in the effluent. They require a more thorough design and product evaluation, and often require a “treatment train.” That train can include things like flow equalization for facilities that have highly fluctuating flows or a grease interceptor for facilities that have grease in the waste stream. The manufacturers of systems that are used for these applications can help you design a treatment train for the application. If the peak flow day is used to size a system for a church, for example, it would be too large for days of the week when there is no service. This is simply a waste of money and presents under loaded system operational challenges. In facilities that have flow variations throughout the week or even throughout the day, designing a flow equalization system into the treatment train can not only save the customer money, it makes the system perform better overall. The loading is what treatment system manufacturers use to design commercial and larger systems, particularly when the wastewater strength is higher than residential homes and/or nitrification or total nitrogen removal is required. Quaternary ammonia is a sanitizer used in larger quantities in food preparation and schools and for sanitizing dishes of all types of surfaces in a commercial system. Acids and bases can be found where these chemicals are used in cleaning, such as what breweries and wineries use to clean vats. Heavy metals like copper and zinc are troublesome and disrupt bacteria. 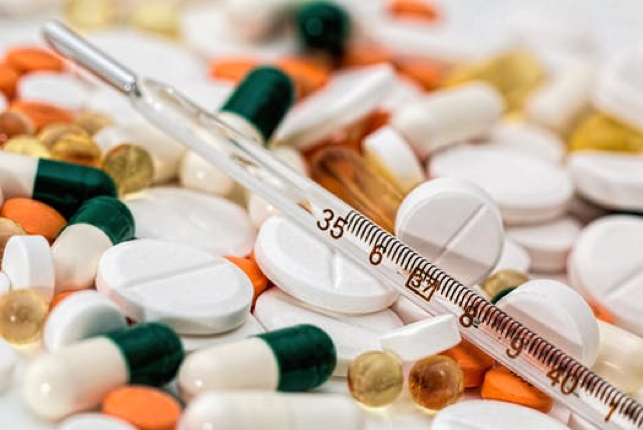 Antibiotics and pharmaceuticals can be used in homes, but can be a special problem in places like nursing homes, assisted living facilities, doctors’ offices and critical care facilities. A trip through the janitor’s closet in commercial facilities is a good place to start if treatment is suffering but mechanically the system is working. Look for the active ingredients on the label or the MSDS (or material safety data sheets) that should be on site. The same issues listed above for individual home systems and temperature variations should be applied in commercial and/or larger treatment systems. In the end, the design for a single home or a larger commercial system must provide the customer with what is right for their application. The price may be higher than expected, but it is the job of the designer to help the client understand what each piece of the system is going to do to make the entire design work for years to come. The system design is key to the longevity and sustainability of the ATU. In addition, having a good site plan, installation guidance, a plan for educating the customers, and a strategy for operation and maintenance all add up to a good solution. If an ATU is applied and designed properly, installed correctly, and operated correctly (by the owner as well as by the O&M provider), it will work. For a single-family home, certified systems are typically applied using the appropriate model number of the ATU for the flow dictated by regulation. This may cause treatment issues in homes that are large with very few occupants. Choose a proven system for the application. Ask for case studies and data. For systems that are expected to achieve high effluent BOD, TSS and/or total nitrogen removal, the influent flow (volume and schedule) and strength are the most important pieces of information to obtain. Provide that information to the manufacturer of the system you would like to use so they can give you a proper treatment plan for the application. Flow equalization can be an important design addition for systems with sporadic flow or strict effluent requirements. Manufacturers can help determine if the application or effluent requirements would benefit from having flow equalization. It is important to be aware that some jurisdictions require it on every unit, including individual homes. Be aware of the effect temperature can have on the system, and design accordingly. Make sure a trained operator is used on the system and they understand how the system works and what is buried on site. Discuss system operation with the owner, and let them know if there are any restrictions on chemicals they can use in the home or facility. Also explain to them how medications can affect the system. Implement O&M access into the design. If it is not easy to access and maintain, it cannot be sustainable. Sludge removal will be an important part of O&M. This article is part of a series on the design of aerobic treatment units.